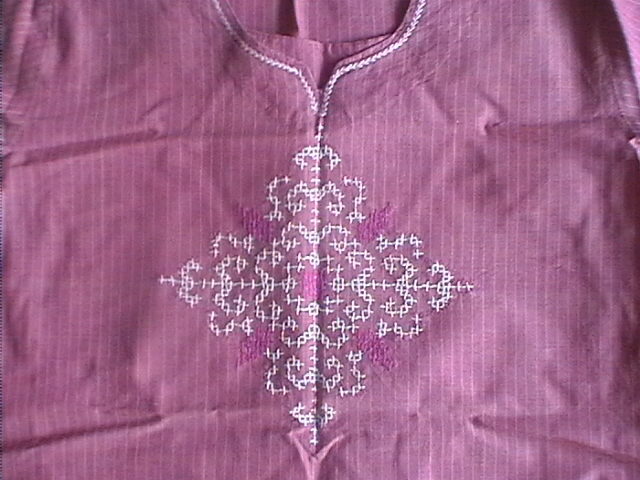 This tunic is in antique pink colour with vertical stripes in cream..The salwar was also the same fabric . The colours were already decided as cream and dark pink. .Drew the pattern on the graph paper and traced it on to the cloth., Then cross stitched the whole pattern. .Used 3 strands of cotton skeins throughout.